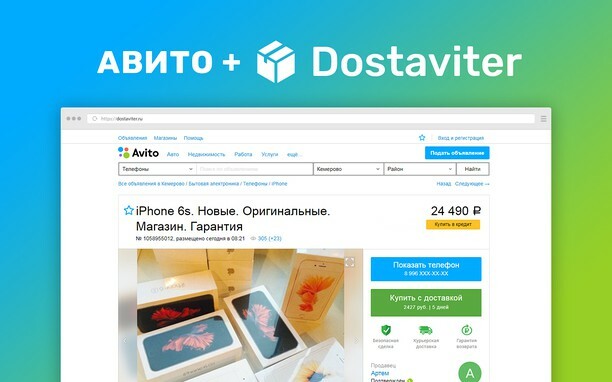 Save your time and nerves by buying goods on the bulletin boards through the DOSTAVITER service. The special extension adds a button "Order with delivery" to all popular message boards: avito.ru (AVITO), irr.ru (IRP), youla.io (YLA), gde.ru (GDE.RU). On the button you will see the cost of courier delivery "from door to door" and its terms. 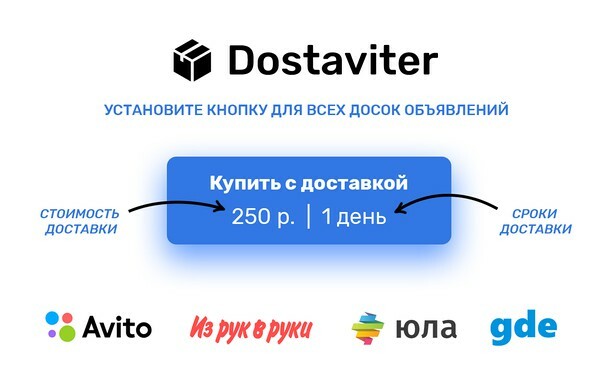 Now you can search for products interesting you on bulletin boards in any city in Russia and order them through the service Dostaviter. Our application protects the interests of both the buyer and the seller. Now you do not need to be afraid when ordering goods from a seller from another city. The seller receives the cash only after you have checked and accepted the goods from the courier. If the product you do not fit or its consumer properties are different from the description, you can return the goods and money for it. Place products on message boards is even easier! 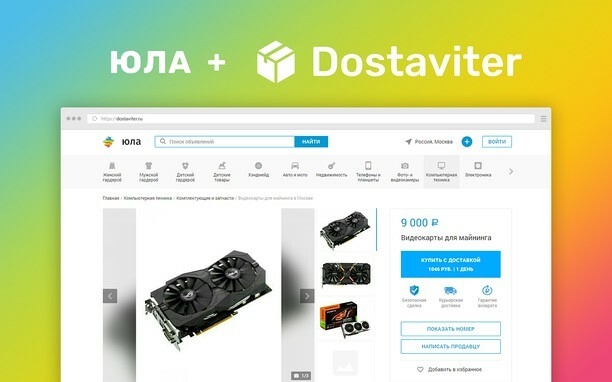 Cooperate with the service Dostaviter, and your customers will receive a quality delivery service, and you - a convenient way to send and pay for your goods.